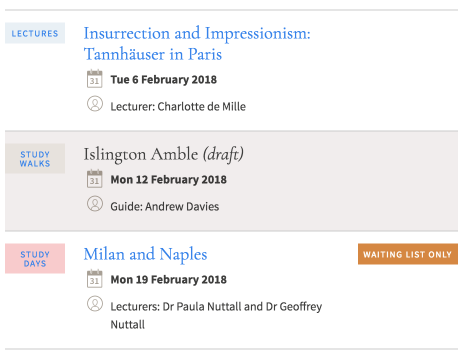 A new responsive WordPress website for the London Art History Society to allow easy updates and attract new members to a well-organised calendar of events. 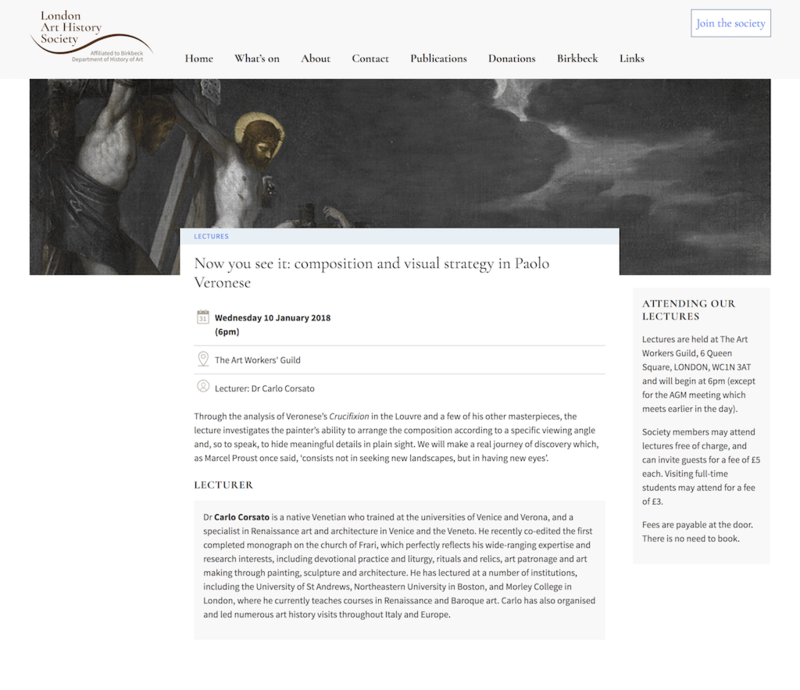 The London Art History Society needed a new website that the volunteer committee could update easily, thanks to careful structuring of custom post types and custom fields that encouraged content re-use. The Society wanted some continuity from their previous website, and we endeavoured to maintain the subtle sense of humour present in the choice of artworks for each page. All artworks can be appropriately captioned / credited too. The committee is organised with a simple hierarchy of editorial roles so that more experienced people can help new volunteers. 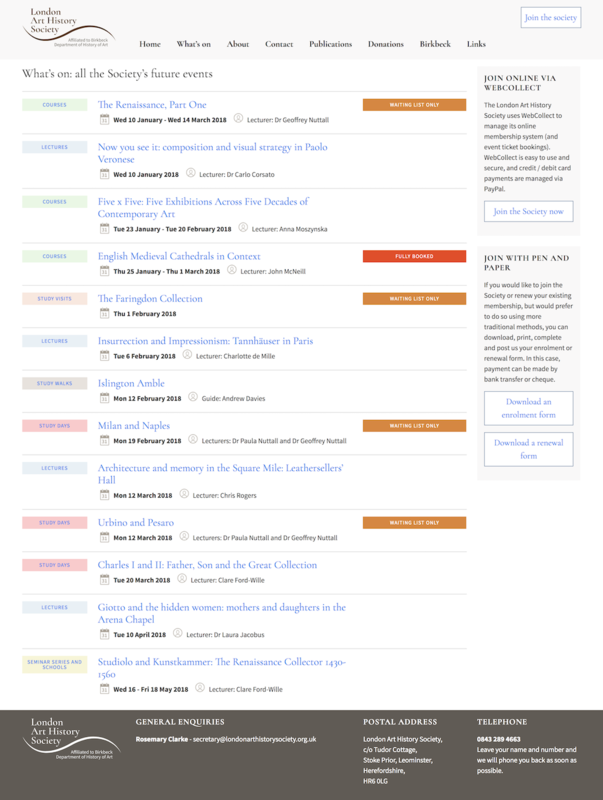 We used our Fabrica Dashboard for WordPress plugin to make the multiuser site easier to manage, and in particular to help editors see which pages have been added or changed, by whom. The committee was given a two-hour introductory training session on how to use the site, and updates are regular and well-managed.